Use the Web to Find a Place “Halfway” Between Us! Have you ever had a need to meet a business partner, family member or a friend somewhere about 1/2 way between your current locations? Well, you are in luck! The web has several great solutions and they are quick and easy to use. Let’s look at a few. This one is super simple and very easy to use. 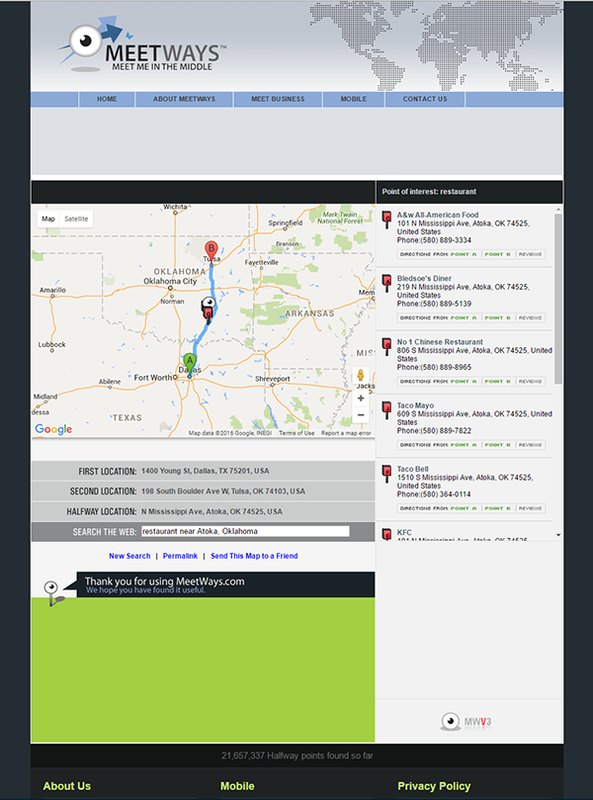 The example shown below assumes you are in different cities and are driving. There are other options for walking or using public transportation. Give it a try this is a great tool! This one is also very easy to use. This tool is great if you are searching for activities that are “Halfway”. 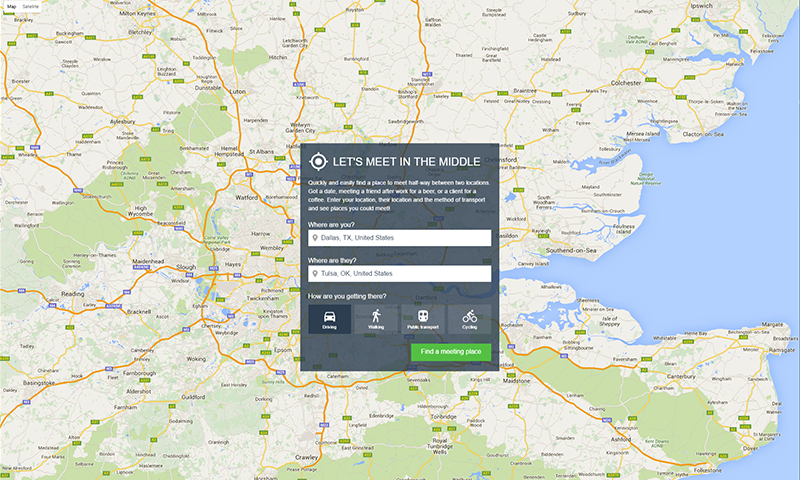 Once you enter your two locations, and you’ll see suggestions for meeting places. If your meeting will involve finding something to do once you meet, this is a good tool. In the example shown below, we both want to grab a bite at Chili’s somewhere about 1/2 way between us! As you can see there are two to choose from! Works great for driving as well as shown below! 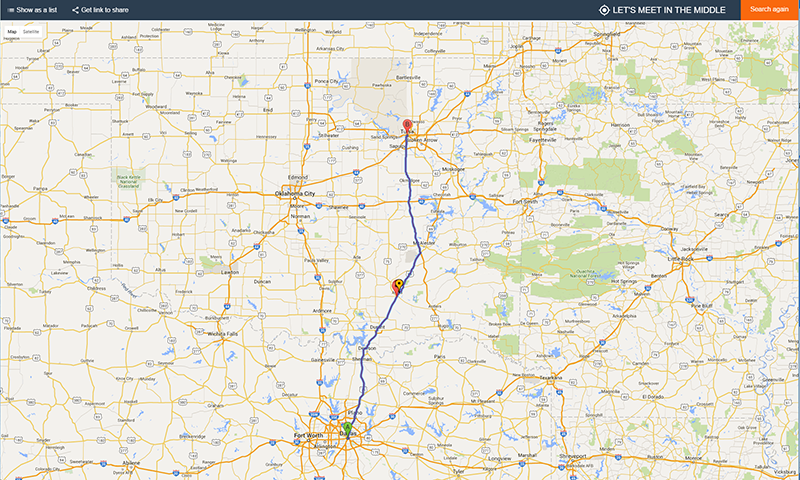 A Super easy web tool and provides a great map for driving! Once you enter your two locations you not only get a “halfway” point but also a great map! The next time you need to meet someone “Halfway” put the web to work for you, give one of these tools a try!